I was over at my parents’ house for the Christmas Holiday and my mom pulled out a bunch of old discs and software from 20+ years ago. One gaame was “Star Trek: Judgment Rites” from 1995. I had the CD-ROM Collector’s edition with all the audio from the original actors, not just the floppy version with subtitles. It’s a MASSIVE 23 megabytes of content! DOSBox has ben providing joy in its reliable service for over 16 years and you should go check it out RIGHT NOW, if only to remind yourself of how good we have it now. 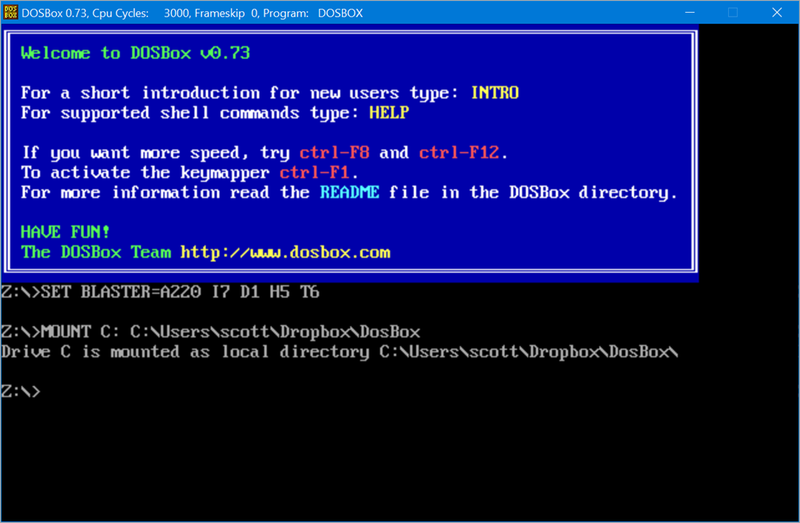 DOSBox is an x86 and DOS Emulator – not a virtual machine. 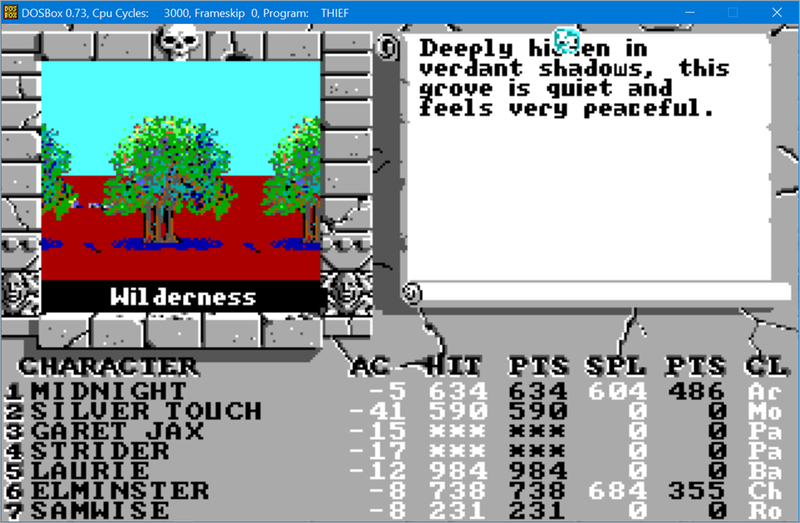 It emulates classic hardware like Sound Blaster cards and older graphics standards like VGA/VESA. If a game runs too fast, you can slow it down by pressing Ctrl-F11. You can speed up games by pressing Ctrl-F12. DOSBox’s CPU speed is displayed in its title bar. Type “intro special” for a full hotkey list. Note that DOSBox will start up TINY if you have a 4k monitor. There’s a few things to you can do about it. First, ALT-ENTER will toggle DOSBox into full screen mode, although when you return to Windows your windows may find themselves resized. These are only the most basic initial changes you’ll want to make. There’s an enthusiastic community of DOSBox users that are dedicated to making it as perfect as possible. I enjoy this reddit thread debating “pixel perfect” settings. There’s also a number of forks and custom builds of DOSBox out there that impose specific settings so be sure to explore and pick the one that makes you happy. It’s also important to understand that aspect ratios and the size and squareness of a pixel will all change how your game looks. I tend to agree with them that I don’t want a blurry scaler. I want the dots/pixels as they are, simply made larger (2x, 3x, 4x, etc) with crisp edges at a reasonable aspect ratio. An interesting change you can make to your .conf file is the “forced” keyword after your scaler choice. The instructions say that forced means “the scaler will be used even if the result might not be desired.” In this case, it forces the use of the scaler in text mode. Your mileage may vary, but the point is there’s options and it’s great fun. You may want scanlines or you may want crisp pixels. I’ve found it all depends on what your memory of DOS is and what you’re trying to do is to change the settings to best visualize that memory. My (broken) memory is of CRISP pixels. The first thing you should do is add lines like these to the bottom of your dosbox.conf. You’ll want your virtual C: drive mounted every time DOSBox starts up! Enjoy! 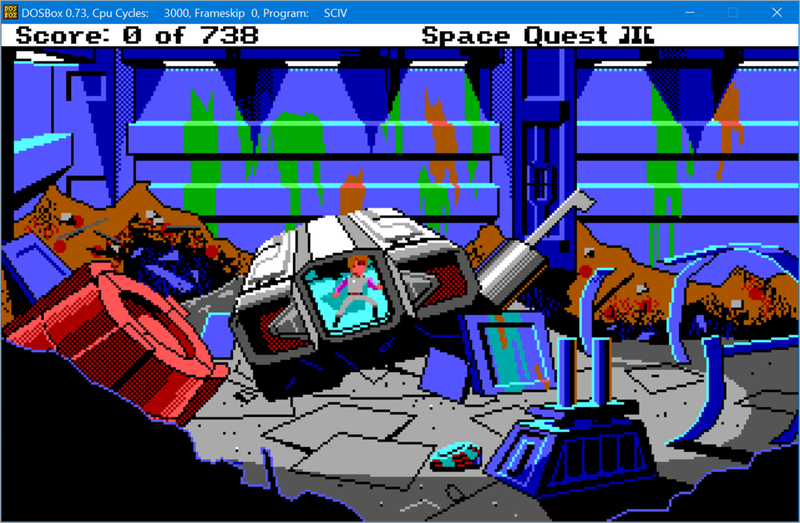 And THANK YOU to the folks that work on DOSBox for their hard work. It shows and we appreciate it.